I should first give out a big thank you to all those people who completed our short app survey, we presented the results at the meeting and it helped us to understand just what the patient wants. I had to get a flight the day before, as the times were not great, so took 3 days off work to attend. 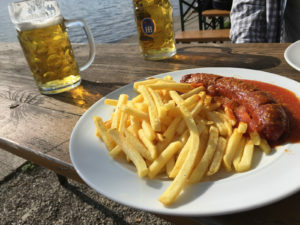 Now, I may have over-sampled the local beer (incredibly good quality) and I may have lost track of time and missed dinner and felt slightly rough for day one (schoolboy error) but other than that it was all good. 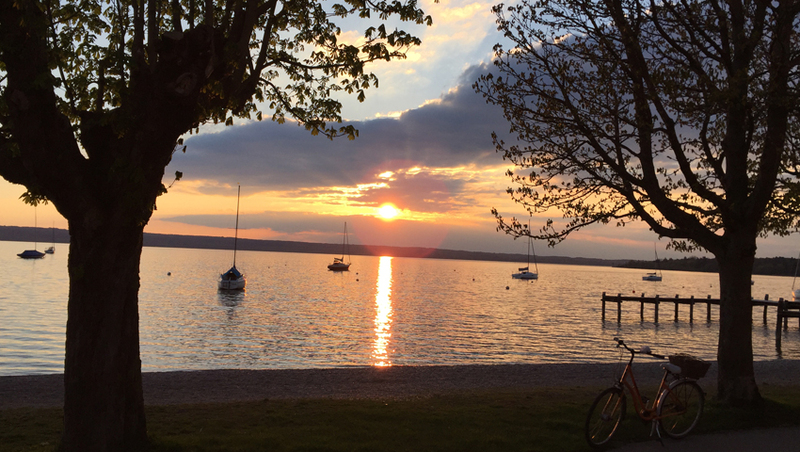 The setting was truly beautiful – and my excuse for the over indulgence was that to not have a beer by the lake in the sunshine would be close to a criminal act. We met in Kurparkschlösschen, at Herrsching am Ammersee. 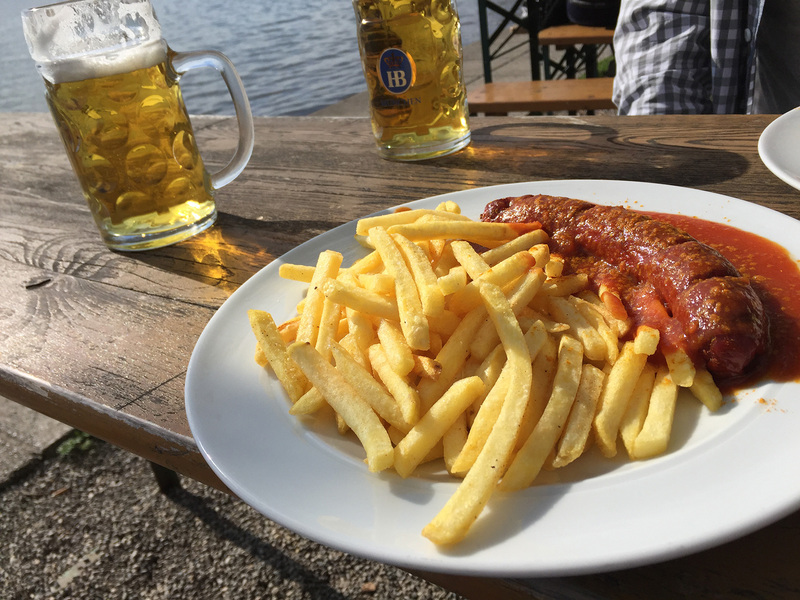 After landing and getting to the hotel, a currywurst and fries tasted delicious. It’s inspiring to be in a room full of great minds, whose purpose there is to collaborate to learn more about tinnitus. Absolute credit to Winny Schlee, he is focused on bringing people together and involving the patient viewpoint within that. 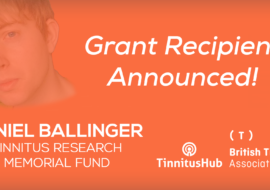 I personally think that gathering big data is going to help us all to understand what types of tinnitus there are and what can work best as a treatment for us. It’s excellent to have someone in such a position that thinks so too. We all gave a short presentation on our area of expertise and then had questions and discussion. Topics ranged from when to gather data, using smart technology to gather data, how to design trials, how to validate the data, EMA – to – the patient perspective :), app market, existing tools, legal aspects, profiling and sample apps. We also had a great talk on European funding and wow is that a difficult thing to get. It takes a fair bit of time and a whole lot of effort. Luckily a specialist from the Bavarian Research Alliance was on hand to de-mystify the process (a little). It’s hopeful that we will get some funds to progress this group, although you never know with the EU – plus if the UK vote to leave the EU in June, that’s possibly us out. 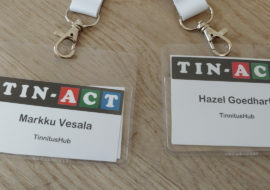 The presentation of Tinnitus Talk and Hub went very well. I didn’t quite get to finish the presentation in the time I originally set aside, so I kind of put the finishing touches to it about an hour before I was delivering it. Nothing like quality preparation time. There were plenty of questions from the group and a real interest in what we have built and how people want to be involved in the research. 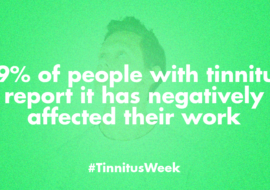 It seems that patients look at Tinnitus Talk and question their Doctor on what they have seen. When you think of sampling people with tinnitus to find patterns or to see if something is working you might think that it’s pretty straightforward. Well, it really isn’t. I won’t go into detail here, partly because I can’t do the speakers justice and partly because the deeper technical aspects are beyond my comprehension. The upshot is that when you are trying to find patterns or check if an intervention is working, the study design, amount of times you take a measurement and the way you time those measurements are critical. The data we gathered recently in our survey may actually be useful here too. Heterogeneity is a big focus so if we find some good patterns and we can correlate it with other research then we’re a step closer to understanding what patterns to look for. Look for more on this from us in the future. Did I mention that Bavarian beer is amazing?